The Dead Daisies have released a special video for the Fourth of July. 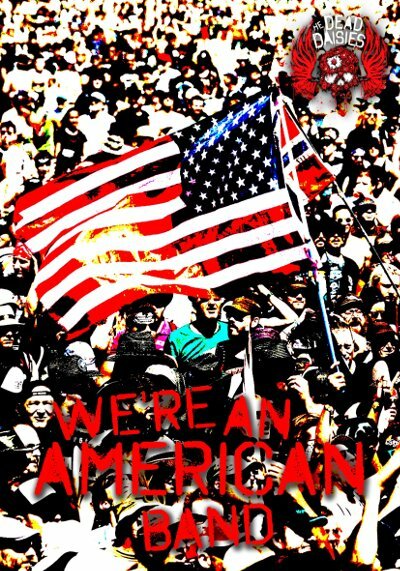 The supergroup's version of Grand Funk's We're An American Band is interspersed with patriotic shots from across the U.S. Singer John Corabi said "We first did American Band by Grand Funk Railroad for our troops in South Korea. We wanted to bring a little bit of something "American" to our men and women in uniform, and give them a taste of home. So, what better way than a classic American tune by a legendary American band. The song went over so well we decided to keep playing it and subsequently recorded it for our Live and Louder album. Enjoy the Daisies version, the video, and your FREEDOM the troops are fighting for on this celebration of our independence as a young, sovereign nation!!!"